Abraham Lincoln had a serious axe to grind. The 16th President of the U.S. was more than a politician. He was a slayer — a vampire slayer. In the latest trailer for Abraham Lincoln: Vampire Hunter, watch him in action as he saves the world, one bloodsucker at a time. You think you know the real Abraham Lincoln, but you have no idea. Get ready to see the former president in a whole new light. 20th Century Fox has unveiled a new trailer for Timur Bekmambetov’s Abraham Lincoln: Vampire Hunter. 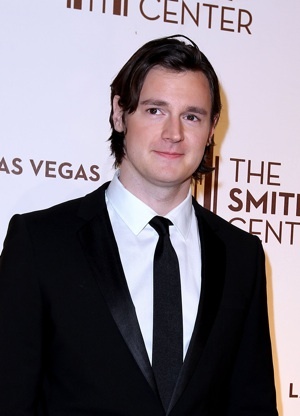 The film stars newcomer Benjamin Walker as the title character. The trailer debuted last weekend at WonderCon 2012 and has quickly made its way online. Abraham Lincoln: Vampire Hunter is based on a novel by Seth Grahame-Smith. It follows Lincoln from his childhood, when he discovers vamps, to his adult years when he begins training and slaying them. The film is produced by Tim Burton and is an action-packed take on the book. The supernatural elements are set against real moments in U.S. history. Lincoln splits his time as a politician and vampire hunter with the help of his sidekick William Johnson (Anthony Mackie). Lincoln’s weapon of choice is an axe, which has a retractable handle and doubles as a gun. He also uses silver to subdue his opponents. Lincoln’s a fighter and will do everything he can to rid the world of these creatures. Abraham Lincoln: Vampire Hunter also stars Rufus Sewell as the villain Adam, Mary Elizabeth Winstead as Mary Todd Lincoln and Dominic Cooper as Abe’s mentor Henry Sturgess. This looks like campy fun! Abraham Lincoln: Vampire Hunter opens in 3-D on June 22.